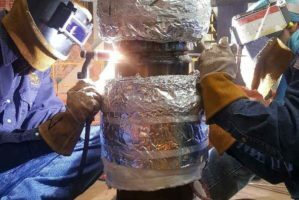 Phoenix Services has decades of metallurgical expertise and experience providing shop and field Code and Specialty Welding Services. 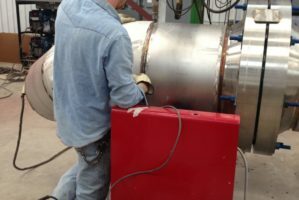 Phoenix Services Code and specialty Welding Division specializes in Heat Exchangers, Pressure Vessels, Piping, Boilers, Furnaces, Heaters, Towers and general Fabrication. Our primary strengths are the experience and skills of our craft personnel, the quality of our work, our ability to respond rapidly to client emergencies, and the flexibility to accommodate project changes. We employ specialty welders and certified welding inspectors.